How to move one (or more) invitee to the attendee’s list? The invitation list of the event allows the creation of a personalized invitation, by which the organizer can also insert a registration form if deemed necessary and / or the validation of the invitation only with the use of the email. 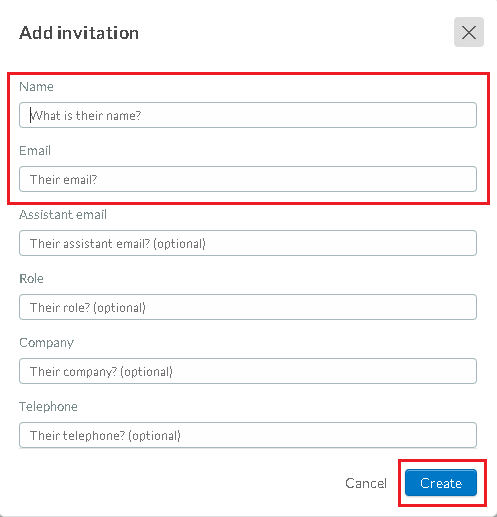 To add an Invitee you need to click on 'PEOPLE' > 'INVITEES' then press the ' + ADD INVITATION' button in the top left corner. Then press the blue 'CREATE' button. 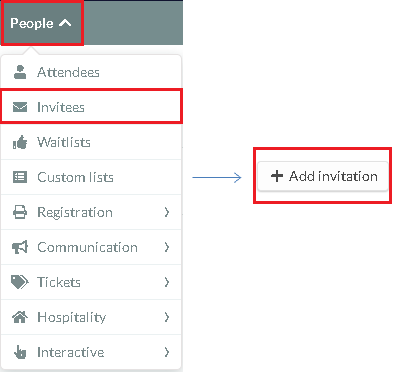 You can add multiple invitees at a time by using an Excel spreadsheet. 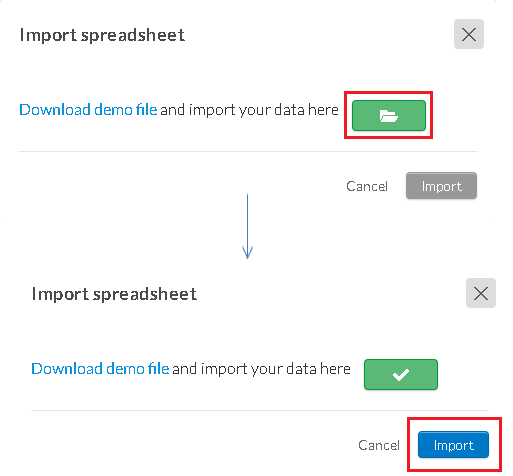 To download the default file (spreadsheet), Press the 'EDIT' button in the top right corner, then press the 'IMPORT' button in the top left corner. 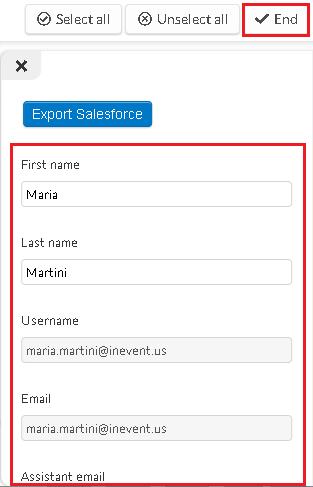 'PEOPLE' > 'INVITEES', Press the 'EDIT' button in the top right corner, then press the 'IMPORT' button in the top left corner. Now we are going to upload your completed excel sheet to the platform. Press the green folder button and choose your file. Once the file has been chosen the green folder button will present with a tick. Then press the blue 'IMPORT' button. The data may take a few minutes to upload. You will be notified with a message box when the excel sheet has been imported successfully. Then all your invitees will be displayed for you. You can also export the invitee data by pressing the 'EDIT' button in the top right corner and then the 'REPORT' button in the top left corner. To edit an invitee's information click 'PEOPLE' > 'INVITEE' . Press the 'EDIT' tab in the top right corner and click on an invitee from the list and a new window will open to the right. In this window you can edit the information of the invitee. At the bottom of the side menu, there is the option of including additional information to each of the participants. Press the 'END' button in the top right corner to save the information and finish editing. By clicking the 'FILTERS' button we can filter out the different invitee groups. By clicking on the 'SEARCH' button you can search terms or a specific invitee. You can copy the custom invitation to a particular guest, who will do the custom redirect using the "copy invitation" button. Then press the 'REMOVE' button in the top right corner. Click the 'END' button once you have finished editing. To register a guest as a confirmed attendee at the event, click in EDIT and choose the invitee(s) you want. Next, a window will appear on the right side, and on the second field, ADD TO, select Attendees. Then press RUN BULK OPERATION. As you can see, you can also move the invitees to custom lists, using the first field at this window.